William Sanders & Company started in 1894 and transferred to a small factory in Ridding Lane in 1897, occupying a small corner of the site. 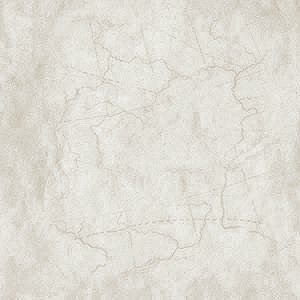 The firm became a limited company in 1934 and a public company in 1951. In 1907 William Preston married Lilly Swinton Sanders, and became managing director of William Sanders & Company. He was chosen as Conservative candidate for the Walsall constituency, and unseated the sitting Liberal MP, Patrick Collins. Following the election it was discovered that Preston had received payments for two small contracts to supply electrical fittings to the Post Office Stores Department. As a government contractor he was ineligible to stand for parliament, and so he had to stand down. His nephew, one of the best known Wednesbury personalities, was Richard Wattis, who started work at William Sanders & Company after leaving school. He stayed with the firm for several years until his acting career began in the mid 1930s. An advert from 'Electricity' 12th November, 1926. Falcon Electrical Works grew to cover a large area and during its latter years became known as the Ottermill. The company manufactured electrical switchgear and fuse gear to a high standard and undertook a lot of pioneering design work in this field. Switched fuse boxes were produced, ranging from small domestic versions to large 3 phase units for industrial use. One of the company's specialities was 3 phase, high current switchgear, much of which must still be in use. 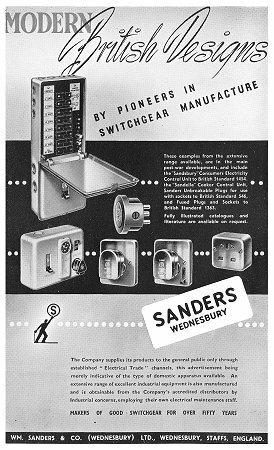 Sanders also produced fused plugs, 13 amp sockets, with or without a switch, fuse holders, and fuses. The layout of the factory. The location of the factory. An aerial view of the factory from the 1930s. Ridding Lane is on the right, with Addison Terrace on the left. In front of the factory in Ridding Lane is the United Methodist Church. Assembling 'Sandamax' fused switch boxes. 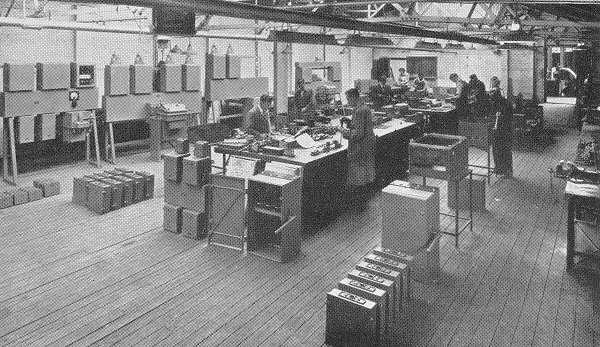 Assembling large fuse carriers, in the general assembly area. An advert from November 1955. Building switchgear in 1961. In the centre, wearing glasses is Ted Maybury. Other products included the 'Sandsbury' consumer unit, the 'Sandella' cooker control unit, and unbreakable 13 amp plugs. The company's switchgear was available in small, standard, off the shelf units, or for large installations which were designed to meet individual customer's requirements. A large section of the factory was devoted to the assembly of made-to-order switchgear, for installations of all sizes and types. Most of the components such as cases, busbars, switches, and contacts were made in the factory, where every item was thoroughly inspected and tested before leaving. All design and development was carried out on the site, including the building of prototype products by an expert model maker. Feb. 10th 1936 The insertion of an earth-pin into a switch plug in which an arm is displaced by the earth pin to uncover the current-carrying socket tubes. Mar. 30th 1936 Improvements in and relating to quick make and break electric switches. Sep. 25th 1936 Improvements in and relating to three pin plug-in electric switches. Mar. 25th 1937 Improvements relating to combined plug couplings and electric switches. May 6th 1937 Improvements in and relating to interlocking electric switch plugs. Feb. 13th 1946 Fusible cut-outs, and combined clip and contact making for a cartridge fuse. May 1st 1946 Two-part couplings combined with fuses. May 17th 1946 A lamp-holder with a laminated base and domed contacts connected by metal strips. 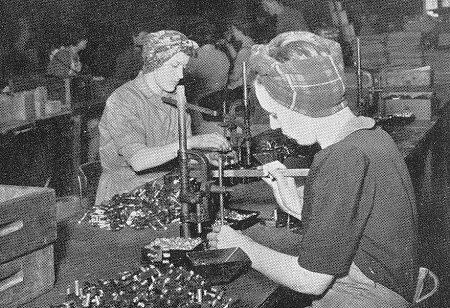 May 14th 1948 Improvements relating to holders for cartridge link fuses. Oct. 29th 1948 Improvements relating to electrical fused plugs. Nov. 9th 1948 Improvements relating to holders for electric lamps. Mar. 19th 1952 Improvements relating to means of connecting together electric cables. 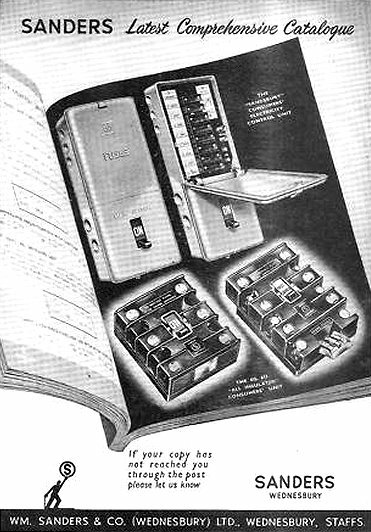 Aug. 20th 1952 Improvements relating to electrical fuses. 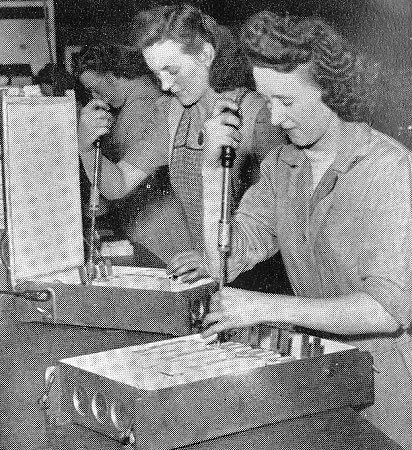 Oct. 15th 1952 Improvements relating to fuse carriers for electric fuse-links of the cartridge type. View some Sanders' products from the 1950s and 1960s. An advert from 1956. Many of the products were exported all over the world and the relationship between management and employees was always good, with a warm and friendly atmosphere prevailing at the works. Some of the seventy or so people employed in the factory in the late 1960s included Norman Martin who was in charge of the stores, storekeeper David James, assembly foreman Ted Moylan, and switchgear foreman Sid Smith. Ronnie Mann inspected and flash tested completed fuse boards, switch fuses and switchgear, and Mrs. Culpeck ran the personnel department in the office. I must thank John Harrison who worked in the factory, for most of the above names. Irwin Palmer was Chief Draughtsman and Designer. Switchboards were designed by Basil Dodd from Bilston, assisted by Detail Draughtsmen - Basil Cope, Bernard Minton and Harry Edge. Ted Canto, ex Royal Navy, was in charge of sales, Bill Heywood was sales office manager, and quotations were looked after by Ray "Dave" Goodman, also ex Royal Navy. Jack Prescott looked after buying and costing, with the assistance of Jack Hollinshead, and the whole site was maintained by Arthur Davies, the Works Engineer. Reg Nicholls, one of the Directors was an accomplished violinist who had associations with Darlaston operatics. He was also a keen Mason. Harry had to produce table plans in ink, on linen, for various masonic functions. Part of the stores was located underground. It was reputed to have been the safest place in the town during air raids. Every year there was a free staff dinner and dance at Darlaston Town Hall. Harry also mentioned that type 'A' switchboards, flush fuse switches in a sheet steel enclosure, were commonly known as "Cubicle Switchboards" and that fuse switches, known as 'Sandaclad' had High Rupturing Capacity fuse links (H.R.C.) carried on the moving part of the mechanism, effecting a complete double break. Also switchfuses, known as 'Sandamax' had stationary fuse holders. The blades of the switch moved onto them. The company became part of the Ottermill Group, a subsidiary of the Westinghouse Electric Corporation. Over the next few years the operation at Wednesbury was transferred to the Ottermill Group's factory at Hungerford, Berkshire called Ottermill Chilton. The Chilton factory, built in 1959 was taken over by Westinghouse in the mid 1970s. Name of Company: Sanders Switchgear Limited. Nature of Business: Manufacturers of electrical machinery and apparatus. Address of Registered Office: Falcon Electrical Works, Ridding Lane, Wednesbury, West Midlands. Liquidator's Name and Address: Paul Reeve, The Otter Mill, Ottery St. Mary, Devon, EX11 1AG. Date of Appointment: 12th December 1977. An advert from the early 1960s. Notice is hereby given, pursuant to Sections 300 and 341 of the Companies Act 1948, that a Meeting of the Creditors of the Company will be held at The Otter Mill, Ottery St. Mary, Devon on the 17th March 1978 at 10 am for the purpose of having an account laid before the creditors showing the manner in which the winding up has been conducted and the property of the Company disposed of, and of hearing any explanation that may be given by the Liquidator, and also of directing the manner in which the books, accounts and documents of the Company and of the Liquidator shall be disposed of. Dated the 6th February 1978. From a 1976 edition of Hungerford Festival News. Many members of the Wednesbury staff were offered jobs at Hungerford and relocated there. They must have expected to be moving to secure jobs, especially as they were now working for Westinghouse, a massive organisation. Falcon Electrical Works closed in the early 1980s and was demolished in September 1987 to make way for the houses in Ridding Lane, Addison Terrace and Gregory Close. The Ottermill Group specialised in the design, manufacture and supply of medium voltage electrical distribution and control equipment, ranging from industrial switchboards and control panels, to products for the domestic market. Items made at the Hungerford factory carried the Chilton brand name. Sadly the new jobs and promised stability at Hungerford for the ex-Wednesbury workers was short lived. In the mid 1980s Westinghouse transferred all production at Hungerford to Ireland, and the factory closed in November 1985. The Hungerford factory suffered the same fate as Falcon Electrical Works. After closure the site was sold for housing, and is now occupied by the houses in Cherry Grove. The Power Centre Co. Ltd., Wednesbury's other major manufacturer of all kinds of electrical power equipment. Another electrical manufacturing company, which moved to the town from Leicester in the late 1940s. The Power Centre Company Limited was founded in 1901 at 11 Chaloner Street, Liverpool. 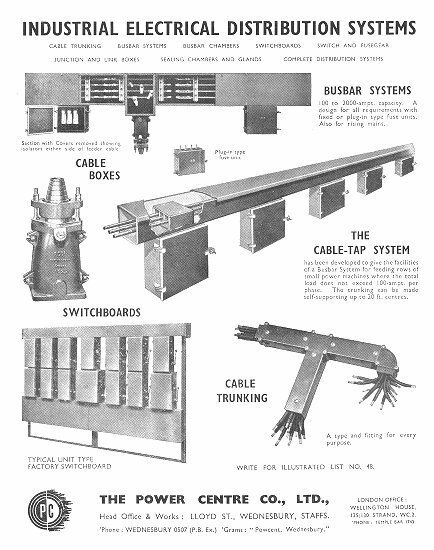 In 1937 the firm exhibited a range of products at the British Industries Fair, including a busbar trunking system, a cable trunking system, switchgear, control gear, and accessories. 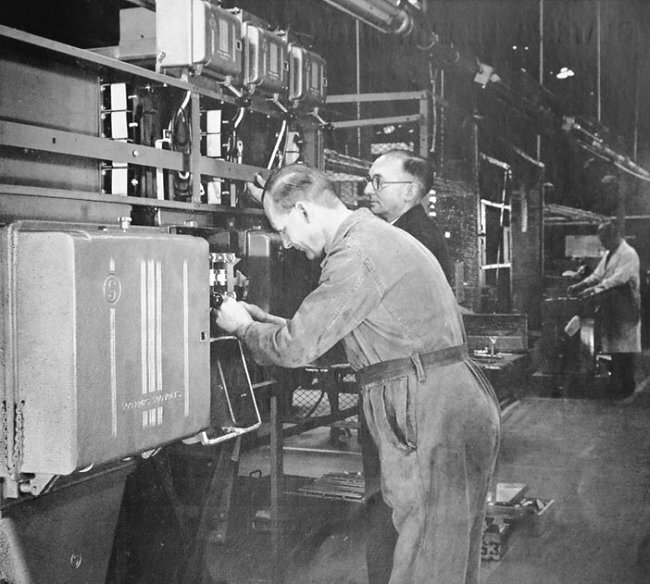 There was great demand for the company's products, and so the business moved to larger premises at Wednesbury in 1938 on the corner of Lloyd Street and Meeting Street, where the firm manufactured busbar trunking, cable trunking and electrical distribution equipment. 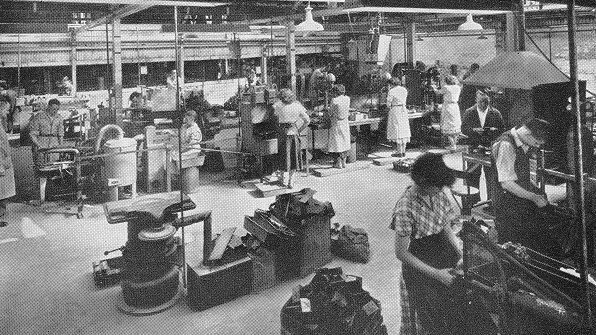 The Wednesbury factory was greatly enlarged, in order to keep-up with the ever-growing demand for the company's products. 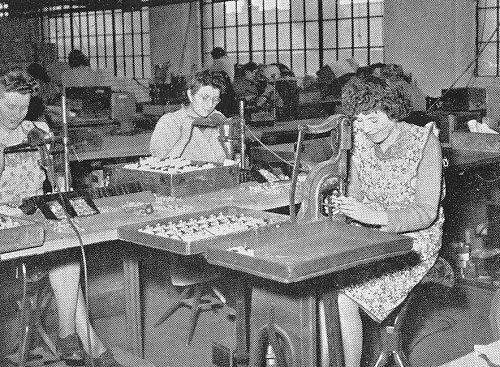 In 1949 a second factory was built in Walsall to specialise in the construction of switchgear and fuse boxes. The company claimed to have produced the first complete busbar trunking system, the first cable trunking system, and took out many patents including a system for supporting electrical conductors, and a flameproof turret cable trunking system suitable for underfloor use. In 1958 another factory was opened in Elwell Street, which included some of the most up-to-date plant. In the 1960s the firm introduced an economical system for distributing electricity for lighting and power appliances in workshops and garages called 'Plug-Line'. It used pre-wired cable trunking two inches square, which came complete with socket outlets for overhead or wall mounting. Producing components in the machine shop. In 1956 the firm became a member of the Electrical Division of Tube Investments Limited, and its products were distributed through the branches of the Simplex Electric Company Limited. The site of the Lloyd Street factory is now occupied by housing. If anyone can add to what's already here, please email the webmaster, who will be delighted to hear from you.